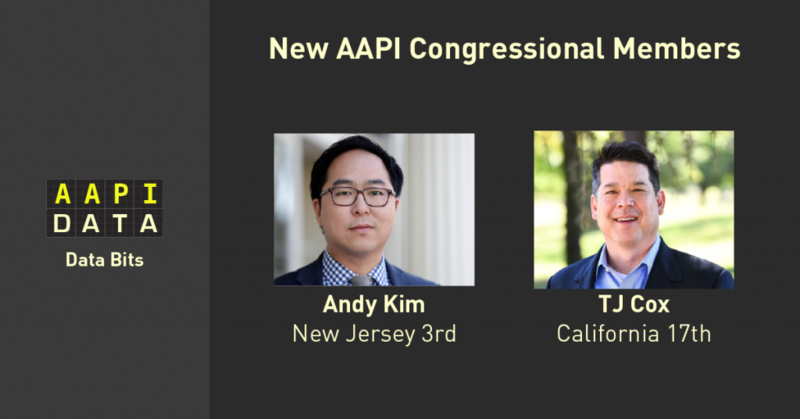 The 116th congress looks to have 17 AAPI members including 2 newly elected members, TJ Cox (CA-21) and Andy Kim (NJ-3). Including non-voting delegates from American Samoa, Northern Mariana Islands and Guam, the number of AAPIs increases to 20. Congressman-elect Kim will become the second ever Korean American elected to the House after Republican Jay Kim (CA-41) who served from 1993-1999. Similarly, Congressman-elect Cox (CA-21) will become the second ever Filipino American elected to the House after Democrat Bobby Scott (VA-3) who ran unopposed and is currently serving his 13th term. Both Kim and Cox won close races with Kim earning 3,474 more votes than Tom MacArthur, and Cox currently with a 529 vote advantage over David Valadao as of current vote totals. If these results hold, Kim and Cox will be 2 of the 40 congressional seats that Democrats flipped in 2018. In addition, Michael San Nicolas (D) beat incumbent Madeleine Bordallo in the Democratic primary and then went on win in the general election for Guam’s delegate representative. Overall, AAPIs gained 1 additional member in congress since incumbent Colleen Hanabusa (D) declined to run for re-election for HI-1 and instead ran for Governor of Hawaii. She ended up losing to incumbent David Ige. *Congressman-elect Ed Case now holds Hanabusa’s seat. 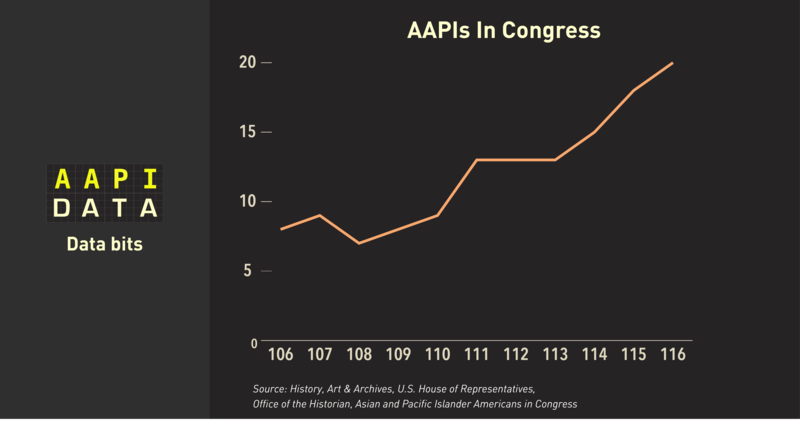 The number of AAPIs elected to serve in congress has more than doubled since 2000, and from the 113th congress, have gained at least 1 seat each new term. Of the 31 AAPI candidates we previously identified running for office in 2018, 15 ended up winning.